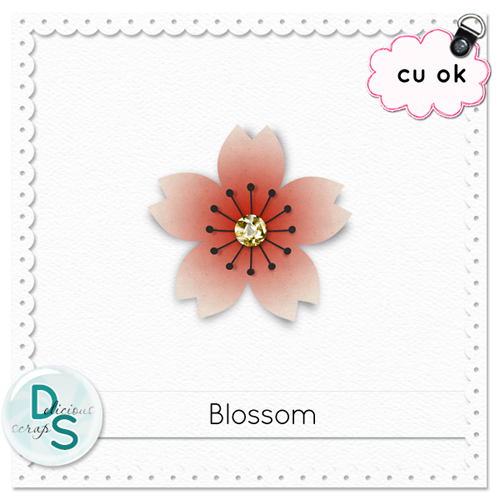 Delicious Scraps: Free Commercial Use "Blossom"
Thank you so much for this post. I want to let you know that I posted a link to your blog in CBH Digital Scrapbooking Freebies, under the Page 5 post on Apr. 03, 2012. Thanks again. Merci beaucoup, elle est très jolie! Thanks so much for this beautiful flowers! The Blossom flower is lovely. Thanks!